Socks for your prop. Protect prop from expensive repairs from road kickback when towing. Made out of.. Prop lock (alph/cobra) Fits: Mercruiser Alpha 1, Bravo 1 (Incl. X & XR), TRS, VazerOMC Cobra & King ..
Yamaha/suz. 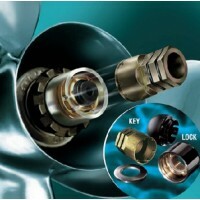 single prop lock Fits: All YamahaThread: M18 x 1.5..
Sold in box quantities only. Bag: 2Size: 1/4" x 1-1/8"Box: 5 (Bg.).. Sold in box quantities only. Bag: 1Size: 1/4" x 1-7/16"Box: 5 (Bg.).. Sold in box quantities only. Bag: 2Size: 1/8" x 1-1/4"Box: 5 (Bg.).. Sold in box quantities only. Bag: 2Size: 1/8" x 1"Box: 5 (Bg.).. Sold in box quantities only. Bag: 2Size: 1/8" x 3/16"Box: 5 (Bg.).. Sold in box quantities only. Bag: 2Size: 3/16" x 1-1/16"Box: 5 (Bg.).. Sold in box quantities only. 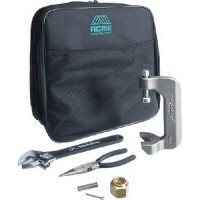 Bag: 2Size: 3/16" x 1-1/4"Box: 5 (Bg.).. Sold in box quantities only. Bag: 2Size: 3/16" x 1-19/64"Box: 5 (Bg.).. Sold in box quantities only. Bag: 2Size: 3/16" x 1-3/16"Box: 5 (Bg.).. Sold in box quantities only. Bag: 2Size: 3/16" x 1-3/8"Box: 5 (Bg.).. Sold in box quantities only. Bag: 2Size: 3/16" x 15/16"Box: 5 (Bg.).. Sold in box quantities only. Bag: 2Size: 3/16" x 1-25/64"Box: 5 (Bg.).. Sold in box quantities only. Bag: 1Size: 5/16" x 1-1/2"Box: 5 (Bg.).. Sold in box quantities only. Bag: 1Size: 5/16" x 1-7/8"Box: 5 (Bg.).. Sold in box quantities only. Bag: 2Size: 5/32" x 1-1/16"Box: 5 (Bg.).. Sold in box quantities only. Bag: 2Size: 5/32" x 1-1/32"Box: 5 (Bg.).. Sold in box quantities only. Bag: 2Size: 5/32" x 1-3/16"Box: 5 (Bg.).. Sold in box quantities only. Bag: 2Size: 5/32" x 61/64"Box: 5 (Bg.).. Sold in box quantities only. Bag: 2Size: 7/32" x 7/8"Box: 5 (Bg.).. Sold in box quantities only. Bag: 1Size: 9/32" x 1-7/16"Box: 5 (Bg.).. Zinc plated steel. Size: 1-1/16".. Fits all 1-1/16" prop nuts. 9/16" Garboard drain plug socket on back. Made of non-corrosive material..
319890 j/e thrust washer : ..
320305 j/e thrust washer : ..
Inboard prop nut kit 1in or Contains: Prop Nut (2), Cotter Pin (1), Shaft Key (1).. Kit prop nut kit 55-1576 Contains: Prop Nut 3707 (1), Cotter Pin 3743 (1), Prop Spacer 4232 (1).. 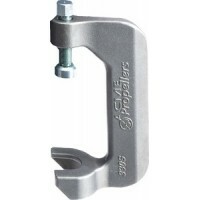 Prop mtg kit cobra/vp3850984 Contains: Prop Nut & Keeper 37081 (1), Cotter Pin 3741 (1), Prop Spacer.. 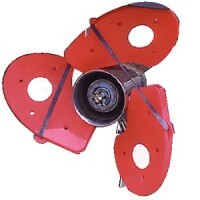 Prop nut @5 1=pkg 5 318971.. Prop nut j/e omc 398042 Contains: Prop nut & keeper.. Prop nut kit - pcm & merc Contains: 3701 Display Pack.. Prop nut kit ym6g5-w4599-00 Contains: Prop Nut 3726 (1), Cotter Pin 3735 (1), Prop Spacer 4274 (1), .. 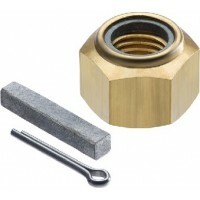 Prop nut kit Contains: Prop Nut (2), Cotter Pin (1), Shaft Key (1).. Prop nut kit Contains: Prop Nut 3726 (1), Cotter Pin 3735 (1), Prop Spacer 3795 (1) and washer (1).. Prop nut kit Contains: Prop Nut 3726 (1), Cotter Pin 3735 (1).. Prop nut kit Contains: Prop Nut 3726 (1), Cotter Pin 2380 (1), Prop Spacer 3735 (1) and washer (1).. Prop nut kit-disp pk Contains: Contains: Prop Nut 3204, Tab Washer 3704 (Display Pack).. Prop nut kit-honda merc pcm Contains: Prop Nut 3700 (1), Prop Spacer 3200 (1).. Prop nut kit-omc-ev-jn v4 gc Contains: Prop Nut 3705 (1), Cotter Pin 3742 (1), Prop Spacer 4228 (1).. Prop nut kit-omc-ev-jn v6 gc Contains: Prop Nut & Keeper 37081 (1), Cotter Pin 3741 (1), Prop Spacer.. Propeller wrench Replaces: Merc 91-95830A1.. 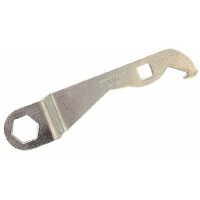 Prop wrench 91-859046q 4 Replaces: Merc 91-821887A-1, 91-859046Q4..
Spacer prop nut : ..
Tab washer pcm & merc : ..